I’m mostly a glass half full kinda girl…but there always that part of me that’s been a little negative. I often worry about what people think of me and kick myself for not being more confident in social situations. It becomes this negative spiral that I can’t get a hold of. But lately, a few things happened to make me draw a line in the same sand that has been around for years and say ENOUGH. Confidence is something I have always felt I was lacking. In my past career, I used to manage teams of 100+, and I think I was good at what I did. But even two years into the same role, I felt like the newbie, and I never knew why. I would cringe at the thought of going to lunch with the big bosses, when all they wanted to do was share the successes and congratulate us on a great job. That was the payback for the late nights and being on call for months on end, but somehow I didn’t want it; I’d rather be in the corner beavering away. In the blog world, I doubt myself like a lot of us do. I sometimes write a post and think it is rubbish but decide to post it and am surprised with the kind comments coming back. I worry that I share too much, what people think of my writing (and that it’s not remotely funny). I worry about my niche and live in hope that it’s me and my experiences because beyond that I have no idea! The irony of this is that people often compliment me for my confidence. My oldest friend often says to me that I’m someone who seems totally sorted in life, who’s got everything lined up and worked out. Like a swan gliding along but actually paddling her feet frantically to get from A to B, which could not be more accurate. I decided recently that if I sometimes appear confident anyway, it’s just my own mind I am battling with – so it’s all about Mission Positive from now on. My first inspiration this week come from Honest Mum who posted a fab live video on Facebook about confidence. I enjoy reading her blog posts on this subject but the video really spoke to me. She said that everyone feels like that sometimes and to just ‘crack on’. I loved that for it’s simplicity and I am going to keep that in my mind to tell myself. It was just what I needed to hear…that I’m not alone in feeling like this and to remind myself its not about beating yourself up when things haven’t worked out. It’s time to be positive and just keep on trucking! To add to this, Meagan from The Mum Project wrote a fantastic post on thinking more negatively about our bodies and remember how amazing they are. I am also guilty of saying some pretty mean things to myself about my body…I don’t know why I do it and I certainly wouldn’t dream of saying something like that to a friend! I know I’m not alone when I say I am a Mum who lost a lot of confidence after being pregnant. I’ve been through the phase of wanting to exercise at every spare moment to get back in shape. And now, I just want to be happy and comfortable in my own skin. So here’s to ditching those negative vibes and reminding myself that I’m doing just fine. In light of the devastating news recently, and other news slightly closer to home – it’s good to remember that life is too short to be full of worry and regret. I’ve only got one shot at this (always reminds me Eminem) so it’s going to be good. And if there’s even just one person reading this who feels the same as I do, just remember: we’ve got this! I need to ditch the negative vibes too – I feel like I often lack confidence, especially when it comes to work or my blog. I’m trying to remind myself that I actually do have useful skills and am really not so bad at this whole web writing thing. Here’s to positivity! #StayClassyMama Thank you for this post. I am only new to the blogging world, and I find myself second guessing and wondering whether my writing is good enough. I lost a lot of confidence, when I became blind last year. Are used to be one to be quite confident in a room of people… But now I find myself sitting in a corner, worried about how I might come across. It is good to know that I am not alone. Thank you. This post is spot on. Many people have doubts and we all need encouragement to keep going. Also love the part about having one shot–we all have to make the most with the hand we’ve been dealt. 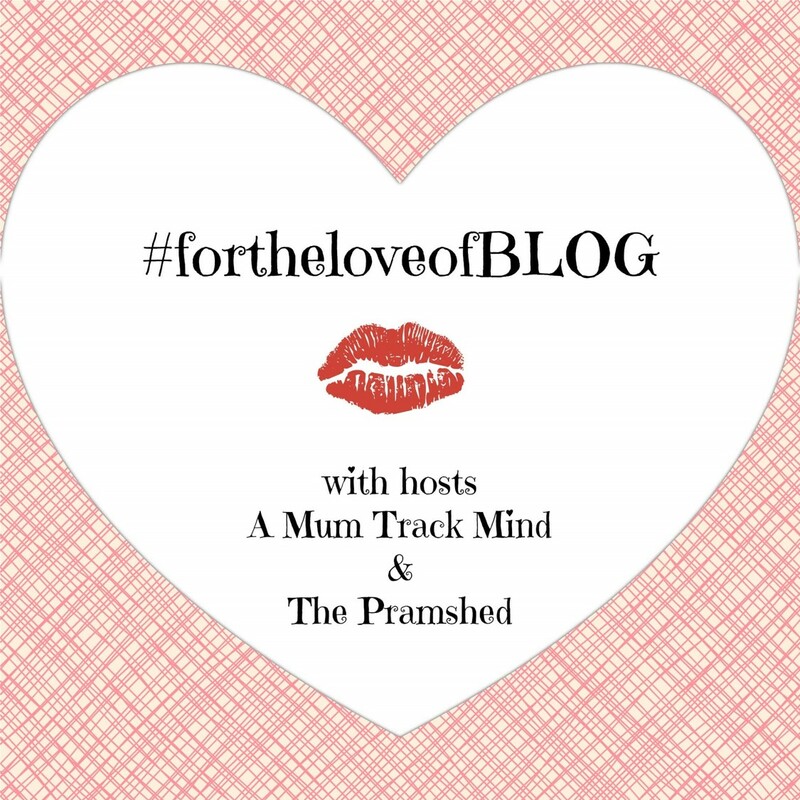 Just popping back from #fortheloveofBLOG – I hope Mission Positive is going well! Ah Bridge I totally needed this post before work today. I love the Eminem quote at the end as well, he’s my fave, I’m singing the lyrics in my head now. I completely agree, we should always try to be more positive. I was reading this book called “Lean In” by Sheryl Sandberg, COO of Facebook, and she talks about the imposter syndrome. How people, mostly women, are affected by this. We think we are never good enough and always feel like a phoney, even though in reality we are great at what we do! I think if we know this we can remember that it’s just a silly voice in our head that makes us feel like a phoney. I’m going to be positive today even though I have had very little sleep! Thanks for mentioning my post in here, feel very honoured. I’m glad it was helpful in some way, I never know if my posts are doing anything haha. Thanks for the inspiration and sharing with #StayClassyMama!